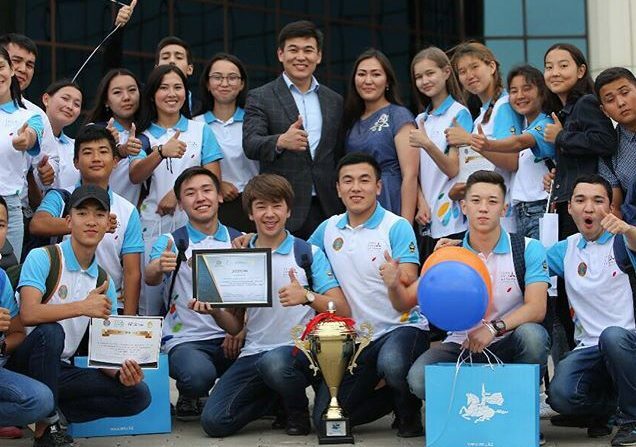 Kazakh President Nursultan Nazarbayev declared 2019 the Year of Youth in Kazakhstan, which attracted the attention of the population, especially young people. They believe this will bring their issues to light and expect new opportunities, actions and support from government and society. “In my opinion, the youth of Kazakhstan are people with very great potential, each of whom can change our country for the better. We are the generation that lives in the era of globalisation and a generation of tolerance and openness to a new, of great interest in global issues,” said recent university graduate Assem Sarsenbai. “The youth of Kazakhstan is a generation at the junction of post-Soviet culture and thinking and globalisation. I see my peers as independent people, thinking outside the framework and able to take responsibility for themselves and for the planet. People who know their value and their goals!” said education specialist Aiym Yessenova. “I think it gives hope to the previous generations, since they grew up in a different environment, in an independent country,” said librarian Madina Abylkassymova. Many young people emphasised they need to be given opportunities and support for their ambitions and plans. “Now, there are a lot of talented, capable young men and women who love what they do. The main thing is to give them a chance to do good,” noted accountant Rustem Khanafin. “Having lived abroad, I clearly realise that our young people are extremely competent and ambitious. The thirst for knowledge is inexhaustible… This tendency must be fully supported,” said university student Makpal Yesmaganbetova. Although young people are considered to be determined and always wanting to know more, some noted they have no strong civic position. “In Kazakhstan, young people are very ambitious and keen to get a better education and further work. But at the same time, young people are not very politically and socially active,” said university student Dina Akylbekova. “From what I see, I think the youth in Kazakhstan are not very politically active in general; they are not very interested in news and political developments,” said social science researcher Almagul Kaiyrbekova. In describing their individual positions, however, young people view themselves as members of society and change makers who will contribute to improving people’s lives and developing Kazakhstan and the world. country with pure nature, good medicine, aimed at improving life,” said Sarsenbai. “I hope I am a brick, as Abai (Kazakh writer and thinker) said, to build a better world,” said musician Aisha Syrymbayeva. The unique times, however, divert the generation as well. The era of new technologies and information has influenced them in different ways, say some respondents. “I think the youth are different. It probably [became] the most polarised generation when the internet gave the youth access to global trends and opportunities; but on the other hand, I see more nationalism and conservative thinking among the Z generation compared to the millennials, for example. Which is, of course, just my impression,” said Kaiyrbekova. “The youth of our country are very contrasting. Some are very creative, smart and advanced; others are ignorant and not adapted to social life. When the internet was not available, all negative [thoughts] remained there [with people]; then, when it became available, all this began to come out,” said actor Adilet Maken. “Very often, I notice that the young people nowadays are more upfront and question things (at least in the cities). I am pretty sure that the situation might differ for the youth from the rural areas,” said Abylkassymova. The Year of Youth is an opportunity to bring young people’s issues to light and take actions towards supporting them, creating new opportunities and implementing their ideas by getting government and society’s attention. “I hope that this will be a real, scientific, cultural, social action. It should not be limited only to this year. Maybe for someone, this year will give a good start,” said Syrymbayeva. 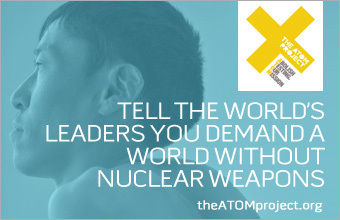 “This is the year to implement young people’s ideas. The state helps them to be among the first in their professional field. For me, as a young citizen of Kazakhstan, it is important that my country will not leave me at a difficult time, just as I will not leave it!” said Maken. “It is an important year. However, it is important that these same young people participate in the events [on their own]… It is important that there is transparent reporting on what is planned to be carried out as a part of the youth year, what is being allocated and where,” said Aigerim Seitenova. The young population is concerned about education, employment opportunities, housing and ecology. The quality and relevance of education is of utmost importance. “First, education is important; more precisely, the content and presentation methods [should be more advanced]. We need new textbooks,” said Sarsenbai. “Social inequality and inequality in the field of education are strongly felt. This year, I was in 11 cities on projects where I met almost 200 representatives of the youth. It sounds trivial, but in each region there are different young people who have different goals and interests,” said Seitenova. “The quality of education leaves much to be desired, but at the same time more and more young people are learning foreign languages,” said Akylbekova. Renting an apartment is quite expensive relative to young people’s wages. To start a family, they believe there should be more favourable conditions, including opportunities to own housing. “For me, the topic of housing is important. For example, my wife and I want to buy an apartment, but with a salary of 80,000 tenge (US$211.12), we will not get it soon. 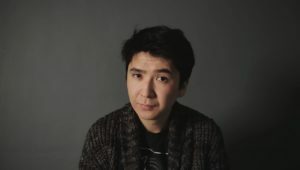 Young people should have favourable conditions for creating a family,” said actor Marat Issayev. “Housing is very expensive and renting an apartment alone is almost impossible in big cities. Unfortunately, the wage gap is also very large between large cities and regions,” said Akylbekova. “More state programmes with adequate conditions for the purchase of housing are needed,” said librarian Kamilya Bugasova. In addition to social services, young people expressed their concerns about ecology and environmental issues such as air pollution and waste recycling. “In many developed countries, this issue is solved. In Germany, people are encouraged to sort garbage and plastic. In Japan, it is like a cult,” said Sarsenbai. Young people want to be accepted and supported by society and government. “A young man burning with ideas needs help and approval,” said Khanafin. “I think young people care about Uyat (shaming) phenomenon. People need to understand that each of us has [his or her] own life; we have no right to blame a person for the fact that he has green hair, a pierced ear, tattoos all over his body, etc.,” said Maken.